The Central Bank of Nigeria (CBN) weekend released the 2013 annual report that led to suspension of former governor, Sanusi Lamido Sanusi. The Financial Reporting Council of Nigeria had raised issues with the accounts, saying it needed some detailed explanation as required in the International Financial Reporting Standards. It was on the basis of issues raised by the Council that the former CBN Governor was suspended. However, the CBN said that it has formally released its audited financial statements for 2013 and 2014 and has fully adopted the International Financial Reporting Standards (IFRS) for the financial statements. The CBN annual report said the bank made a total earnings of $0.29 billion (N44.41 billion), from the external reserves in 2013 representing an increase of 7.1 per cent over the level in 2012. According to the CBN, in order to earn additional income from the external asset management programme, the CBN signed a Master Securities Lending Agreement with JP Morgan Chase to participate in its securities lending programme. The custodian was allowed to lend the securities purchased by the fund managers to eligible borrowers in accordance with the guidelines. It said that total earnings from the securities lending operations from the inception of the programme in December 2007, amounted to $54.93 million, of which $1.36 million was realised in 2013, representing a decline of 41.8 per cent, compared with $2.33 million earned in 2012. The released financial statements indicate that the net income of the bank for 2013 amounted to N209.6 billion while that of 2014 was N35.4 billion out of which 80 per cent have since been remitted to the Federal Government of Nigeria in accordance with the Fiscal Responsibility Act. The balance of 20 per cent was also transferred to the Reserves within the bank. The report said that the bank in 2013, recruited 771 personnel, consisting of two executives, 427 senior and 342 junior staff. This was made up of 276 female and 495 male. The bank, however, lost the services of 27 staff through death; 15 through voluntary retirement; 72 through mandatory retirement; and 10 through resignation. Furthermore, the appointment of nine staff was terminated, while 27 were dismissed. The staff strength stood at 6,594, compared with 5,983 in 2012. The report said: “Available data showed that total foreign exchange inflows through the economy rose by 22.9 per cent to $146.27 billion in 2013. Of this, inflows through the CBN and autonomous sources amounted to $41.07 billion and US$105.20 billion and accounted for 28.1 and 71.9 per cent, respectively. A disaggregation of the inflows through the autonomous sources showed that invisibles accounted for $98.53 billion; non-oil exports, $6.31 billion; and external account, $0.36billion. The invisibles comprised over-the-counter purchases (OTC) and domiciliary accounts which amounted to $62. 93billion (63.9per cent) and $35.60 billion (36.1 per cent), of the total, respectively. “Aggregate foreign exchange outflows through the economy rose by 17.9 per cent above the level in 2012 to $43.64 billion. The development was attributed to increased Dutch auction utilisation, national priority projects and external debt service by 27.9, 4.3 and 2.3 per cent, respectively. In addition, $1.00 billion was transferred to the Nigeria Sovereign Investment Authority (NSIA) account during the year for investment. “Overall, a net inflow of $102.63billion was recorded in 2013, compared with US$81.99 billion in the preceding year. Foreign exchange inflows through the CBN fell by 12. 2 per cent to $41.07 billion in 2013. The inflow from oil exports declined by 13.1 per cent on a year-on-year basis, occasioned by oil theft and pipeline vandalism in the Niger-Delta, which affected the oil production and volume of crude oil exported. “The non-oil component of the inflow through the bank also declined by 3.3 per cent, compared with the level in the preceding year. An analysis of the latter showed that wDAS/rDAS purchases and interest earnings on reserves fell by 98.6 and 47.6 per cent respectively, from the levels in 2012. Other official receipts rose by 29.0 per cent above the level in 2012 to US$2.97 billion, while receipts of $0.99 billion was realised from the issuance of sovereign Eurobond. In contrast, outflows of foreign exchange through the bank rose by 20.0 per cent to $42.32billion in 2013 driven by the 27.9, 4.3 and 2.3 per cent increases in outflow through wDAS/rDAS utilisation, national priority projects, and external debt payments, respectively. Further analysis showed that wDAS/rDAS and inter-bank sales rose by 33.8 and 136.1per cent, to $25.52billion and US$3.94billion, respectively, reflecting increased demand at the spot segment. The wDAS/rDAS-Forward, swaps, and BDC sales, however, fell by 71.6, 51.1 and 4.3 per cent, respectively, from the levels in 2012. “Other official payments” were 22.2 per cent below the level in 2012 and amounted to US$5.27 billion. “The decline was driven largely by the 38.9 and 34.1 per cent reduction in miscellaneous outflow and the Nigerian National Petroleum Corporation/Joint Venture (NNPC/JVC) Cash calls funding, respectively. Under this category, the NNPC/JVC cash calls accounted for 64.6 per cent, while miscellaneous outflow was 1.3 per cent of the total. Furthermore, payments to international organisations and embassies, parastatals and for estacode rose by 40.9 and 11.2 per cent, and accounted for 12.3 and 21.8 per cent, respectively, of the “Other Official Payments”. Drawings on L/Cs fell by 23.4 per cent and accounted for 1.0 per cent of total outflows through the CBN. The external debt service and out-payments for the national priority projects, however, rose by 2.3 and 4.3 per cent and accounted for 0.7 and 0.2 per cent, respectively, of total outflows through the bank. Overall, a net outflow of $1.25 billion was recorded through the bank in 2013, compared with a net inflow of $11.53 billion in the preceding year. 2013 annual report said “Sectoral utilisation of foreign exchange in 2013 rose by 28.8 per cent to $54.2 billion over the level in 2012. Visible trade imports, at $28.1 billion or 51.8 per cent of the total, declined by 2.4 per cent, compared with $28.8 billion in 2012. Out-payments on invisible trade, however, rose by 96.4 per cent to $26.1 billion or 48.2 per cent of the total, compared with $13.3 billion in 2012”. It further said: “Analysis of visible trade imports showed that foreign exchange utilisation for the agricultural, industrial and mineral sub-sectors grew by 23.1, 11.5 and 10.5 per cent to $0.3 billion, US$8.4 billion and US$0.4 billion, respectively, from the levels in 2012. Manufactures, food products, transport and oil sub-sectors, however, declined by 10.3, 7.4, 15.4 and 5.5 per cent to US$4.2 billion, $5.1 billion, $1.5 billion and US$8.2 billion, respectively. Foreign exchange utilisation under invisible imports was driven largely by financial sector services, which accounted for $22.2 billion, representing an increase of 123.3 per cent over the level in 2012. Out-payments for business, communication, education and transport services rose by 22.2, 31.9, 14.9 and 15.8 per cent to $1.3 billion, $0.5 billion, $0.3 billion and US$1.3 billion, respectively, over the levels in the preceding year. “Similarly, distribution and other services grew by 13.9 and 11.6 per cent to $0.1 billion and $0.3 billion, respectively, from the levels in 2012. Tourism, construction and engineering-related services, and health, however, fell, by 73.4, 22.0 and 11.8 per cent, to $0.02 billion, $0.09 billion and $0.002 billion, respectively, from their levels. According to the CBN “The IFRS requirement implies that the financial statement of the CBN be consolidated with those of investee entities, namely Nigeria Export-Import Bank, Abuja Securities and Commodities Exchange, Bank of Industry, Bank of Agriculture, Nigeria Inter-bank Settlement System, National Economic Reconstruction Fund, Financial Markets Dealers Quotation, African Finance Corporation and Agricultural Credit Guarantee Fund. “Thus, the bank now has full IFRS-compliant financial statements for the years ended 31st December 2013 and 31st December 2014, respectively. 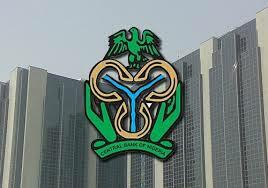 Hitherto, the bank’s financial statements had been prepared under the Central Bank of Nigeria (CBN) framework.